Social media marketing has become a mainstream tool this year. And according to experts, it will still dominate the digital space in 2018. As an entrepreneur, it’s not enough to leverage social media marketing. You also have to keep an eye on the latest trends. The world of social changes with the speed of lightning. If you won’t keep up, your brand will lose its relevance, even its customers. This week on Five Tips Tuesday, we’ll help you kick-start your new year by giving you the 2018 digital marketing trends. 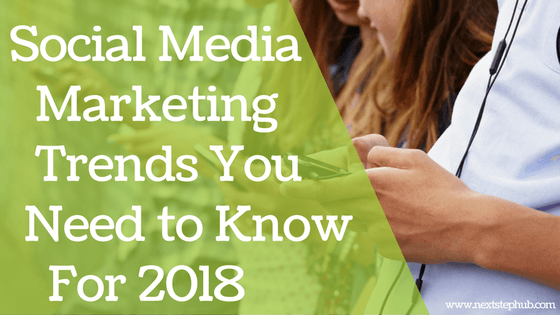 Get to know the social media trends that are set to shape the digital marketing landscape. Find out the latest content strategies that can boost your campaigns. Understand your data better with the help of new analytic tools. Learn how you can get the most out of your social media strategies. And last but not the least, get the book that will help you make your story shine on a crowded social media platform. Social media platforms are ever changing. And next year, their features and technological advancements will create even more disruption. As a marketer, you need to keep up with the trends and use them to hone your strategies. Here are the top 10 social media trends that are set to conquer 2018. You can’t elevate your social media marketing without creating awesome content. If your content doesn’t resonate with your audience, they won’t read it or share it. But if it aligns with their interests, they will engage with it. This can drive more leads and give your brand a solid presence in the digital scene. Here are the content trends that will boost your social media campaigns. Building a social media strategy can be challenging, especially if you’re trying it for the first time. You have many things to consider, such as your audience and the right platform to use. Listen to this episode of the HootSuite Podcast and find out how you can build a social media strategy and get the most out it. Data plays a significant role in your social media marketing. Your numbers, metrics, and graphs will tell you if your tactics are working or not. They will help you make sure that your campaigns and approach will fit your audience and your brand. Check out the user-friendly social analytic tools here. Social media is a crowded place. There are tons of brands fighting for attention, which makes it difficult to stand out. Gary Vaynerchuk, a social media expert, and bestselling author, surely knows how to tell his story in the right way. And in his book “Jab, Jab, Jab, Right Hook”, he shares hard-won advice on how you can connect with customers and beat the competition. Gary will show you that while quality content is the key, you also have to create content that is tailored to different social media platforms. Do you have other tips that will help entrepreneurs elevate their social media marketing game? Share it with us in the comments!